Posted by Jonny Greenwood on 11/19/2018 3:15:15 PM. If you download an eBook from an online ebook store, and you want to read the book on your Kindle eReader, the resolution is to convert acsm to Kindle. You would ask me why and how to do. Don't worry. Here are the details. To read acsm on a Kindle, follow these 4 steps. Using Adobe Digital Editions to open your ACSM files. Once opened, the acsm will be saved as ePub or PDF. Remove DRM from the ACSM. Convert ACSM to Kindle supported format. The following 4 parts will address all your questions. After you purchase an eBook online from the public library or a private bookseller, you can download it to have a look. However, typically the downloaded file uses an .acsm suffix but not the common ePub or PDF or the Kindle format. In other words, the majority of the books you got from online stores are in ACSM format. You may be confused about this file type since the acsm is not your actual eBook. It behaves like a link to your eBook allowing you to download the actual book. You're probably wondering which program can download the link to open the acsm file. Go on with the topic in part 1 referred to. ACSM stands for Adobe Content Server Manager. This name suggests that Adobe manages the downloading of the ACSM file. I would recommend using Adobe program Adobe Digital Editions to open your acsm file. It's the best acsm ebook reader. Step1: create an Adobe account and authorize it. Step2: run the ADE program and open acsm with it. When Adobe Digital Editons runs, it will see the .acsm file and automatically download your book as PDF or ePub, which is the actual eBook you purchased. Before you buy Adobe ebooks, whether PDF or ePub, please install the Adobe Digital Editions. Only by using this software you can open the acsm file and read it on your computer. As previously explained the ACSM file can only be opened with ADE on your PC. If you try to open this file with any application such as Kindle for PC rather than ADE, it will issue an error message. This is because once we download an acsm file and open it with ADE, the acsm file will be associated to ADE (Adobe Adept DRM). There is no compatibility with Kindle or iPad. Even worse, if we want to read acsm on Kindle, there is another problem we have to solve besides the DRM protection. It's the format limitation. This is because the Kindle only supports its own format such as AZW3, AZW, MOBI, PRC, TPZ but not the common ePub or PDF. So here you may find the key to resolve your problem to read acsm on Kindle: Remove Adobe DRM and convert ACSM to Kindle format. By following the steps below and installing this tool Ultimate Converter. It is the best DRM Removal + eBook Converter. After you have opened your acsm file with Adobe Digital Editons, you will see your book at the left hand area inside the ADE folder when you run the software. Then please drop and drag the file you want to read on kindle to the rightside area. As the image shows, it will remove the DRM automatically. You will see the "decrypted". You can also have a look at how to remove DRM from .acsm file. If you download Kobo eBooks from official site online (with browser), the downladed file will be ACSM. But, if the books are downloaded or synced via Kobo for PC/Mac, the file will be Kepub, NOT the acsm. If you want to read them on your Kindle maybe you can have a good reading of this article read Kobo KEPUB on Kindle. You can convert acsm to mobi at the output format list because mobi is the native kindle format (now AZW3 output format is also supported well). Here is a video guide for you about using Epubor Ultimate. After the conversion, it will pop up automatically which displaying the completed ebook. You can also click the "Convert to" button again to get the converted eBook. Now all that remains is just to transfer mobi to Kindle. Connect your Kindle device and computer via USB cable, and copy your converted acsm file from the output PC folder to your Kindle "Books" folder. thank you for your simple explanation. What does that mean and what should I do? 1, Check if you ADE has been authorized. I bought in Google Play. OK the Google Play books can be decrypted correctly. The most possible reason is the Adobe ID database is messed up. The most solid solution is find a new computer which hasn't installed Adobe Digital Editions yet. Or you can try to reinstall ADE or use some apps like CCleaner to clean the remaining information of ADE. This is really excellent. Thank you for providing this. I am able to upload books ( .acsm format) to my kindle with in seconds. Glad that our guide helps you. GREAT FORMATTING! The best thing's that the formatting in the resulting MOBI file is perfect. It's exactly like the original EPUB file just compatible with Kindle. Thank you very much. Wow! Thanks. Worked great. Excellent instructions. Only one thing you left out - Ultimate Converter costs $25, although you can get a free trial to give it a try, which I did. Not sure how long the trial lasts. Our program free trial allows you to process 10 books for free, once you place an order, you can request refund in 30 days. You can upgrade the program for free, and benefit our customer tech support. Good day, I am just wondering the converted MOBI format will work the same as a native MOBI file? Would their properties be the same? For instance, can I still highlight notes and save them for future access? Yes, converted Mobi format will keep the original content without quality losing. 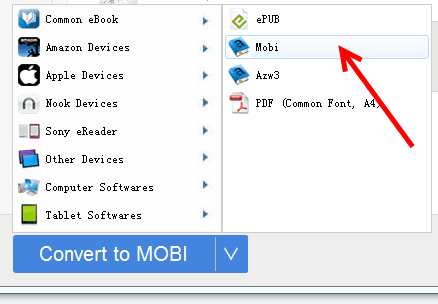 Maybe you can have a try to see, converted files will not replace your original Mobi books. Hello, I'm trying to convert an Adobe e-book (acsm file) to Kindle (Kindle for Mac). I've selected Kindle as my output format and the "E-book Converting" message has been up for several minutes now, with the blue loading-bar full from the start. Does that mean it's still working? If so, how long might a 118mb file take? Also, am I doing this wrong/ is there a better way to do this? It seems your file is a little bit large, it may take a while for converting. As long as the conversion has been finished, the output folder will pop up automatically. Thanks for getting back to me, I will be more patient when I try it again. I see there's no Kindle for Mac Output Format, but there is a Kindle for PC output format. If I want to convert the Adobe Digital Editions file to Kindle for Mac, which Output Format do I select? You can just select Mobi as output format. I have successfully converted the ACSM file to MOBI format! Now, how do I open the MOBI file with the Kindle for Mac app? Yes, you can open it via Kindle for Mac app. 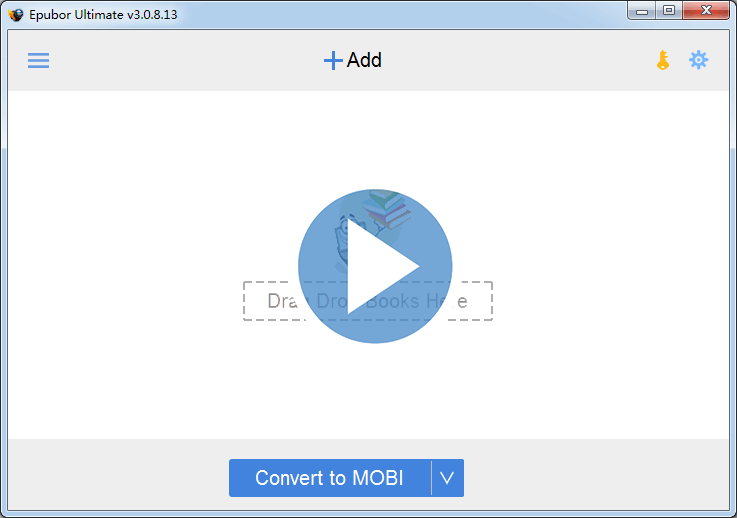 If you have Kindle eReader, you can also transfer converted mobi file to it. I want to use Kindle for Mac to read my book that is currently on Adobe Digital editions (ADE). Based on this page, my plan was to convert the ACSM file to a MOBI file so I can read the book on Kindle for Mac. But, I am confused because: This page mentioned that once ADE opens the ACSM file, it becomes a PDF file. The page also says that you must first open the ACSM file in ADE, and then convert the ACSM file to a MOBI file using Ultimate software. BUT, if I have opened the ACSM with ADE, the ACSM file is now a PDF! That is, when I look in the right side area of the Ultimate software under ADE, my book is a PDF! Am I supposed to convert this PDF to a MOBI file? - This method doesn't allow for the removing of the DRM from the ACSM step above; when I select this PDF to convert to MOBI using the software, and then open it in the Kindle for Mac reader, It becomes a messed-up mix of letters and partial pages; so I don't think this is the way. If it is, what am I doing wrong? If I am supposed to be selecting an ACSM file from the right side of the Ultimate software under the ADE tab, how do I make it appear there? Yes, the correct step is: open acsm file via ADE, download complete PDF, launch our Ultimate, drag PDF file to it, the DRM will be removed automatically. 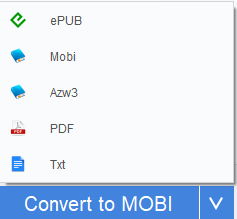 Then convert PDF to Mobi. You can email to support@epubor.com for technical support. Um. My Kindle Fire doesn't have ADE in the app store. You can only download ADE to your computer(PC or Mac), then make sure you can read your ACSM with ADE. 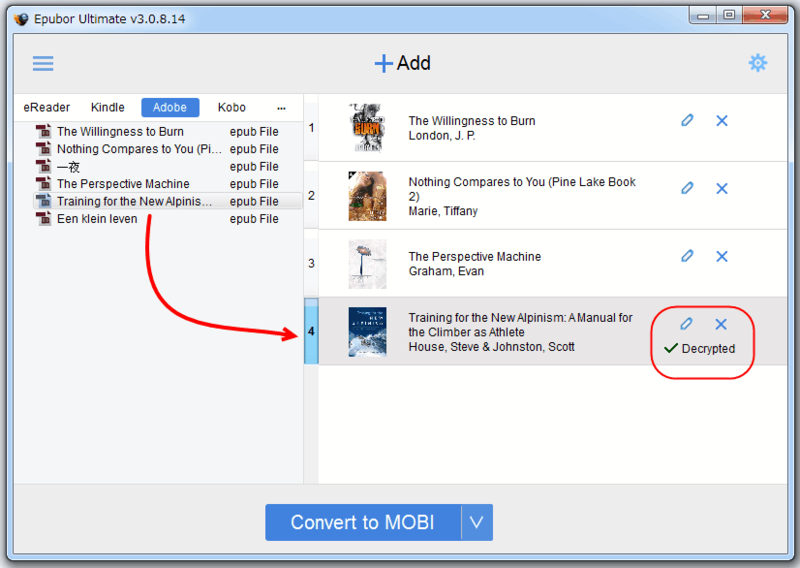 Once your ACSM saved as ePub or PDF, using the tool to help you convert your book to Mobi. Then, transfer Mobi to your Kindle Fire. Sunject: where is the converted file? I concerted a .acsm file to Kindle format. Great step by step tutorial....except....once converted, where IS the file so I can transfer it to my Kindle? Once converting finished, the output folder will pop up automatically, you can also click on "succeeded" to find them. I have a question. I have an ebook i am downloading it and I receive URLLink.acsm it is right but when I download same folder with safari on mac this folder downloading like URLLink.acsm.xml . How can I fix it in my codes. I am coding with c#. How can I prevent safari to not check folder's contain. Thanks a lot for the tutorial. I've only a question: Although I can read the book without any problem in my Kindle Paperwhite, I cannot highlight, change the font, or look up any word in the dictionary. Is there any way to do it? It doesn't convert the whole book. Not even half. The trial version only can convert 20% of each book. It works like a charm. Now I can transfer my acsm file to my kindle oasis.